Turkey is one the most preferred countries among football players as the income tax rate in the country is lower than that in Europe, a professor said. In December, the Turkish parliament approved a code that football players in Turkey’s Super League will be tied to 15 percent income tax until Dec. 31, 2019. “So many European football players and managers prefer Turkey because of low tax rates,” said Sebahattin Devecioğlu, associate professor at Faculty of Sports Sciences in Fırat University. 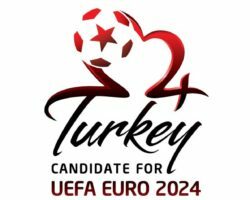 He stated that the aim of lowering the tax rate is to boost the quality of Turkish Super League by attracting more European stars. Back-to-back Super League champions Beşiktaş signed 32-year-old Spanish striker Alvaro Negredo, who had played for Spain’s Real Madrid and Valencia, and English Premier League title contender Manchester City. Super League title contenders Galatasaray signed 32-year-old French striker Bafetimbi Gomis. During his career, Gomis played for French clubs Olympique Lyon and Olympique Marseille and England’s Swansea City. Fenerbahçe added 33-year-old French winger Mathieu Valbuena, who has played for Olympique Marseille and Olympique Lyon. In addition to Valbuena, Fenerbahçe strengthened their offense with 32-year-old Spanish striker Roberto Soldado. He is a former player of English club Tottenham Hotspur and Real Madrid. He has also played for Spain’s Valencia before moving to Tottenham. Additionally, French left-back Gael Clichy joined Istanbul-based club Medipol Başakşehir in July 2017. The 32-year-old defender previously played for English Premier League clubs Arsenal and Manchester City. “The regulations like this are needed for developing and supporting sports in Turkey and increasing brand value of the league”, Devecioğlu added. Players in Germany, Spain, Italy and England, where level of competition is higher than the Turkish Super League, are paying more income tax than their co-workers in Turkey. 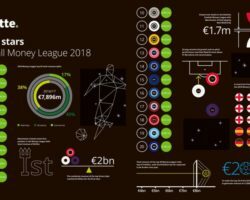 KPMG Football Benchmark’s video revealed that the expenditure of the Turkish club for a player, who earns net 1 million euros ($1.18 million) per annum, is 1.19 million euros ($1.41 million). Meanwhile this figure in Germany tallies 1.9 million euros ($2.25 million). In Spain the cost is nearly similar to the one in Germany, as the figure is 1.91 million euros ($2.26 million). In Italy this figure has boosted to 1.97 million euros ($2.33 million) and it climbs to 2.12 million euros ($2.51 million) in England. However, France is holding the record cost since a player in the French top division Ligue 1, who bags net 1 million euros per year, costs 2.74 million euros ($3.24 million) to his club. Devecioğlu also talked about tax fraud claims in Europe as several star players such as Barcelona forward Lionel Messi, Real Madrid star Cristiano Ronaldo and defender Marcelo and midfielder Luka Modric were accused of tax evasion. “Last year Panama files were published. Barcelona striker Lionel Messi and his father, who is Messi’s agent, faced court over tax evasion claims for investing his income in offshore banks,” he added. Messi was found guilty for exploiting his image rights that he earned in 2007, 2008 and 2009. Messi and his father Jorge Horacio were charged for defrauding Spain of 4.1 million euros ($4.85 million). The court in Barcelona found out that the duo used tax havens in Belize and Uruguay. Messi rejected tax evasion claims but the court gave him 21-month prison sentence. Later, a Supreme Court in Spain swapped the jail sentence with the fine. 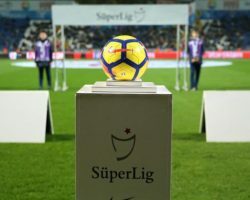 In December, the Turkish parliament approved a code that football players in Turkey’s Super Lig will be tied to 15 percent income tax until Dec. 31, 2019. “So many European football players and managers prefer Turkey because of low tax rates,” said Sebahattin Devecioglu, associate professor at Faculty of Sports Sciences in Firat University. He stated that the aim of lowering the tax rate is to boost the quality of Turkish Super Lig by attracting more European stars. Back-to-back Super Lig champions Besiktas signed 32-year-old Spanish striker Alvaro Negredo, who had played for Spain’s Real Madrid and Valencia, and English Premier League title contender Manchester City. Super Lig title contenders Galatasaray signed 32-year-old French striker Bafetimbi Gomis. During his career, Gomis played for French clubs Olympique Lyon and Olympique Marseille and England’s Swansea City. Fenerbahce added 33-year-old French winger Mathieu Valbuena, who has played for Olympique Marseille and Olympique Lyon. In addition to Valbuena, Fenerbahce strengthened their offense with 32-year-old Spanish striker Roberto Soldado. He is a former player of English club Tottenham Hotspur and Real Madrid. He has also played for Spain’s Valencia before moving to Tottenham. Additionally, French left-back Gael Clichy joined Istanbul-based club Medipol Basaksehir in July 2017. The 32-year-old defender previously played for English Premier League clubs Arsenal and Manchester City. “The regulations like this are needed for developing and supporting sports in Turkey and increasing brand value of the league”, Devecioglu added. Players in Germany, Spain, Italy and England, where level of competition is higher than the Turkish Super Lig, are paying more income tax than their co-workers in Turkey. 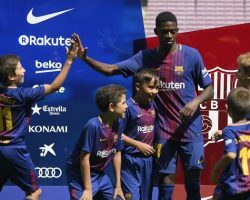 Devecioglu also talked about tax fraud claims in Europe as several star players such as Barcelona forward Lionel Messi, Real Madrid star Cristiano Ronaldo and defender Marcelo and midfielder Luka Modric were accused of tax evasion. 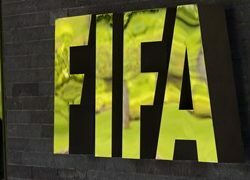 FIFA released the full contents of the Garcia report that examined alleged corruption in 2018 and 2022 World Cup bidding on Tuesday, one day after it was leaked to German newspaper Bild. The 2014 report by independent ethics investigator Michael J. Garcia was once expected to be explosive and became a holy grail for FIFA critics who thought the votes that gave the World Cups to Russia and Qatar could be rerun. Previously, FIFA had only published a 42-page summary of his findings, released by its then-ethics judge, Hans-Joachim Eckert. The move upset Garcia, who said the reduced document misrepresented his work. Worth almost TL 5 billion ($1.4 billion), Turkey’s football economy has grown fivefold in the last decade. With employment and added value, it has become one of the most dynamic sectors of the Turkish economy. Now for the first time, the country’s football industry will become the subject of discussions at the Football Industry Forum and Exhibition (FIFEX) in Antalya from Jan. 8 to Jan. 10, 2018. 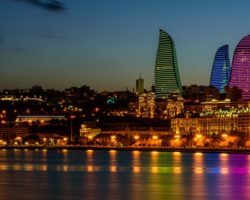 He noted that it was important for all parties to gather around the same table and join forces to increase Turkish football’s market share in the global arena. FIFEX will look to address that issue, Dilber said. 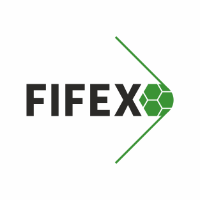 Different institutions and companies involved with the industry, including field turf and artificial grass producers, construction companies, sports nutrition brands, sportswear companies, healthcare and software companies will join the FIFEX forum, he confirmed. 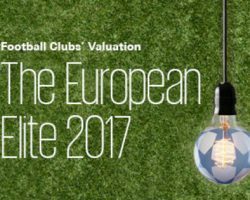 Football Clubs’ Valuation is an analysis undertaken by the Football Benchmark team of KPMG’s Sports Advisory Practice that provides an indication of the enterprise value (EV) of prominent European football clubs as at 1 January 2017. 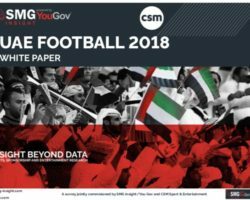 The foundation of this report is an analysis of the latest publicly available financial statements for the 32 football clubs selected for the purpose of this publication.